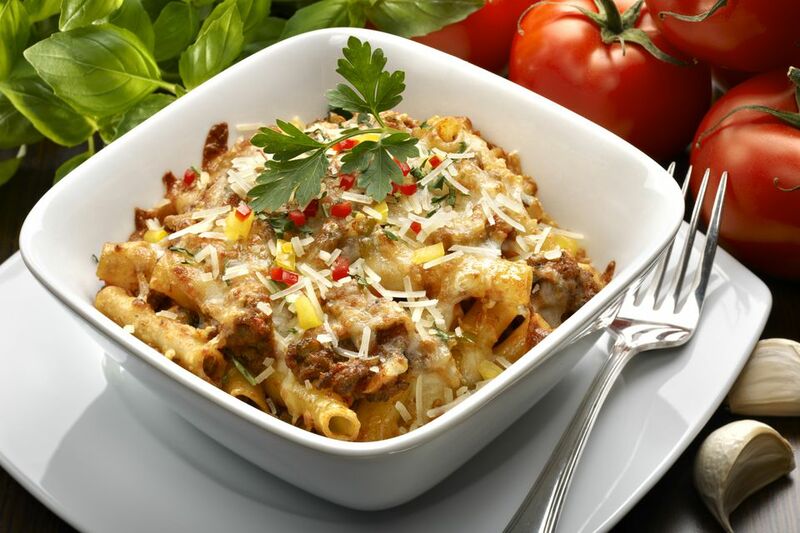 This is an easy, tasty slow cooker ground beef and macaroni recipe, a nice family meal for a busy week. The macaroni is cooked and added to the dish near the end of the cooking time. Add some cooked corn or mixed vegetables to the dish before it's done, and garnish it with a little chopped fresh parsley or green onion tops. Heat the olive oil in a large skillet or saute pan over medium heat. Add the ground beef and onions; cook, stirring and breaking up the beef, until the beef is no longer pink and the onions are tender. Butter the inside of the slow cooker. In a bowl combine the cheese sauce mix, water, condensed soup, stewed tomatoes, and tomato paste. Stir to blend thoroughly. Add the mixture to the macaroni and ground beef; stir gently to combine. Cook the macaroni in boiling salted water following the package directions for firm or al dente pasta. Drain thoroughly. Add the shredded cheddar cheese and hot cooked macaroni to the slow cooker and continue cooking for about 15 to 30 minutes longer, or until the cheese has melted and the dish is heated through. Garnish with fresh chopped parsley or sliced green onion tops. Replace the condensed soup and cheese sauce mix with a can of condensed cheddar cheese soup. Replace the cheese sauce mix with a small packet of ranch dressing mix (tip from a visitor). Add about 1 cup of cooked corn or mixed vegetables to the slow cooker along with the macaroni and shredded cheddar.